Dallas, TX, May 23, 2014 -- Michelle Robberson, shareholder at Cooper & Scully, P.C., was recently inducted by the Dallas Bar Foundation as a Fellow at the 23rd Annual Fellows Lunch on March 26, 2014 at the Belo Mansion. Fellows of the Dallas Bar Foundation are Dallas attorneys who have distinguished themselves in their professional careers and also have had significant contributions to the legal and civic communities of Dallas. Michelle’s induction represents her commitment and dedication to service, education, and philanthropy in the legal and public communities. Michelle is an appellate law specialist at Cooper & Scully, P.C. She is board certified in civil appellate law and handles appeals and original proceedings in both state and federal appellate courts. She also provides litigation support for trial teams with respect to the jury charge, directed verdict, other motion practice, and preserving error for appeal. 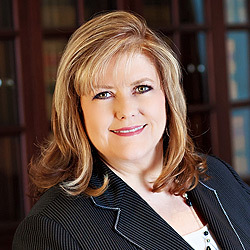 Michelle serves on the Texas Bar's Pattern Jury Charge Committee, on the Medical Malpractice, Premises, and Products volume. And, she is currently serving as Chair of the Appellate Law Section of the Dallas Bar Association.